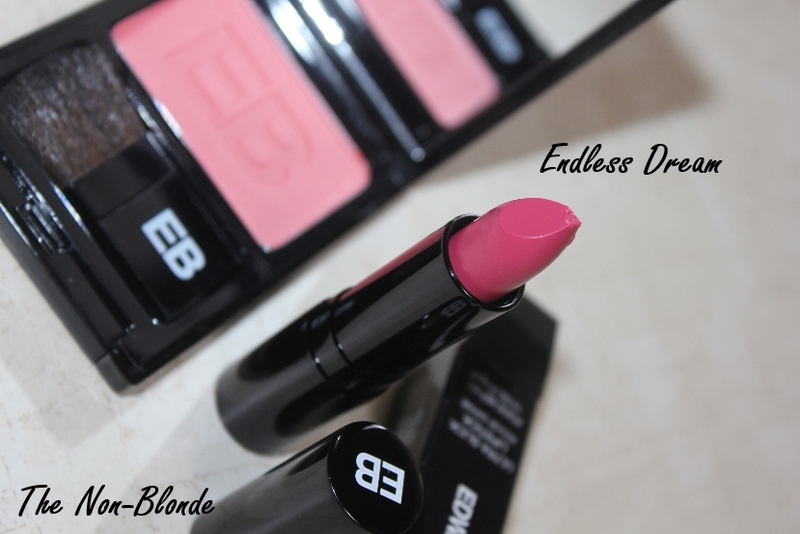 Endless Dream and Island Blossom are new colors that joined Edward Bess Ultra Slick Lipstick range. As I've mentioned before, Edward Bess promised to fix the issues that occurred when he changed the packaging and moved production overseas. 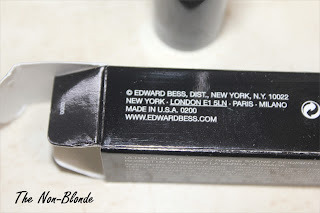 The lipsticks (as well as the new blushes) are once again made in USA, the much adored heavy magnetic tubes are back, as elegant as they were when Edward Bess first appeared on the market, and the formula has improved. 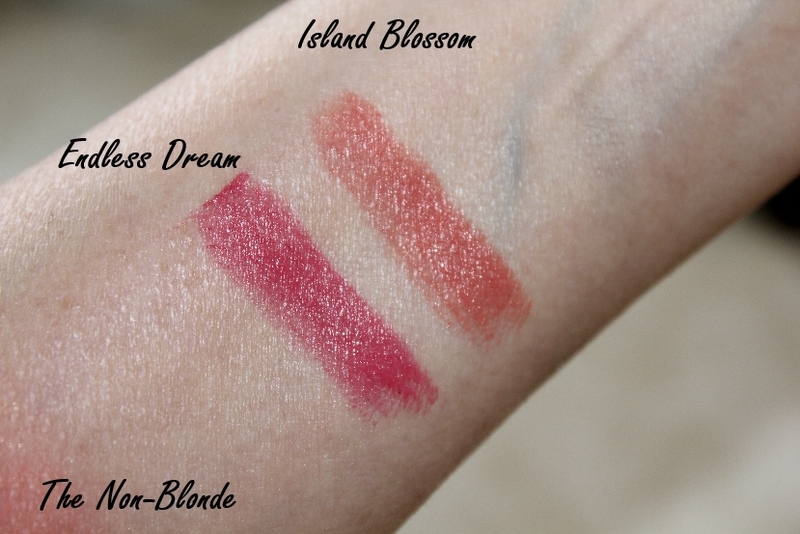 Endless Dream and Island Blossom are intensely pigmented and give a full coverage. 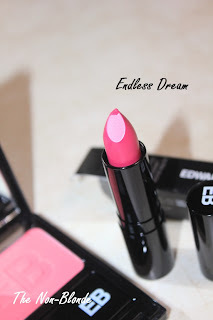 The lipsticks have a good slip and they feel nice on the lips, though I don't think they're as moisturizing as the original lipsticks Edward had launched. still, they're not drying like the last batch we got in the rectangular packaging. 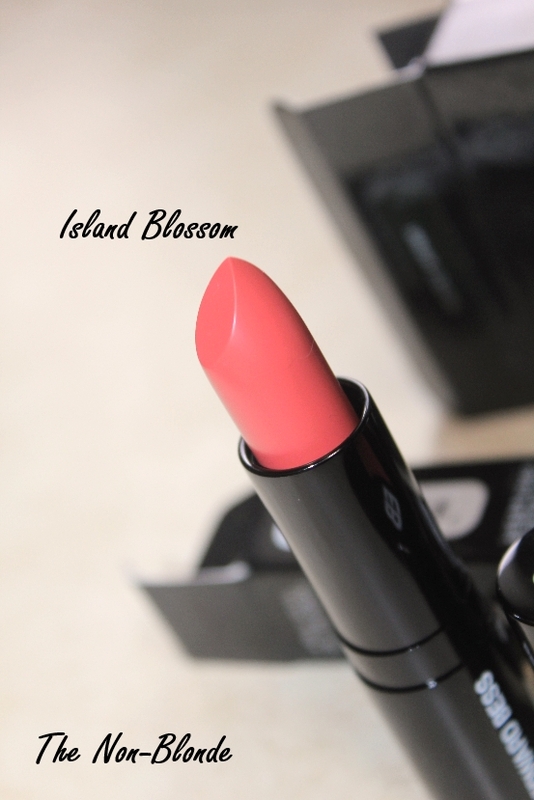 The new lipsticks are comfortable to wear, very long lasting and they leave a good stain behind even after eating a full meal. Endless Dream is a rich pink rose with what turned to be a reddish base when swatched and applied. It's a wonderfully flattering color that I'll be wearing a lot. Island Blossom is a warm coral, very much on-trend and a good match to the Secret Affair blush I showed you yesterday. 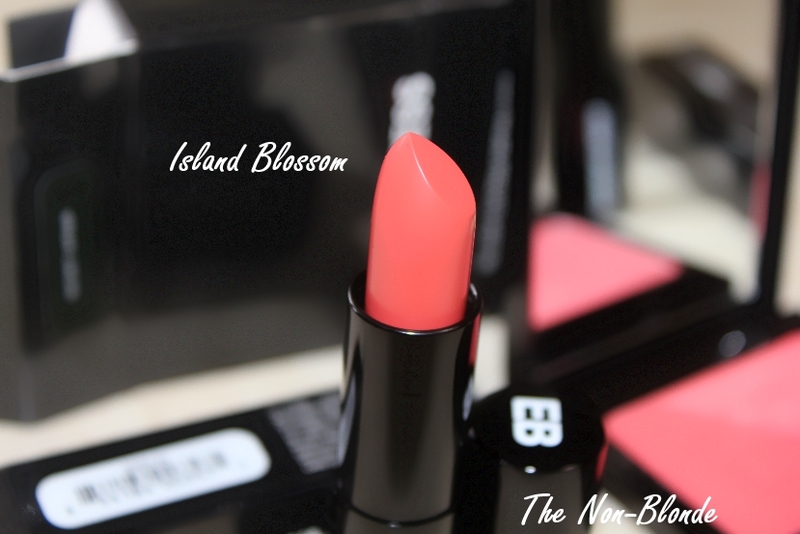 It turns out that by itself this is not the best shade for me. It's too warm and about a tone lighter than my natural lip color. In order to make it work I have to either mix it with Endless Dream or add a red gloss on top. When I do that I get a pretty spring/summer look. Bottom Line: The real Edward Bess is back. Edward Bess New Lipsticks: Endless Dream, Island Blossom ($32 each) are available from Bergdorf Goodman and select Neiman Marcus locations (also online).